As much as the Kansas basketball players who lived through Saturday’s second-round NCAA Tournament encounter with Auburn would like to wipe the night full of lowlight memories from their heads, that’s not the way season-ending defeats work. These types of losses frustrate, linger and fester. But eventually, the mental wounds begin to heal, and when that happens they can fuel players, too. For all the pain and disappointment that dominated the Jayhawks’ thoughts inside Vivint Smart Home Arena, first as Auburn ran away to advance to the Sweet 16, then in the locker room when the season’s finality hit the team’s leaders with an emotional knockout punch, their psyches will recover in the days ahead. 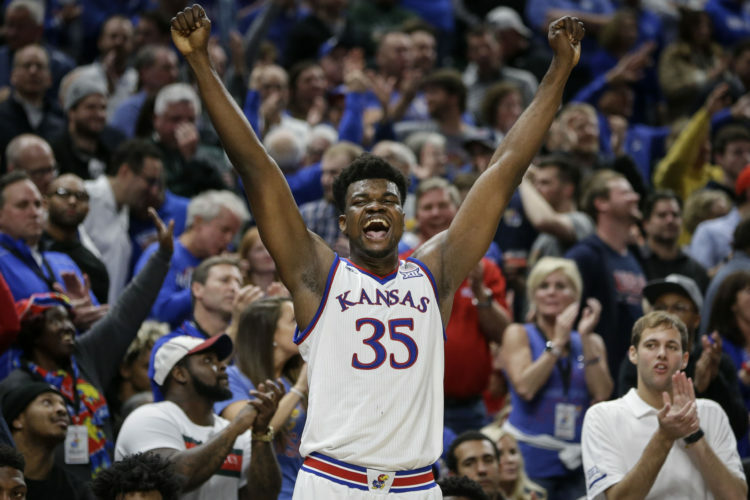 For the KU players who are both driven and plan on returning for another postseason run in 2020, this 14-point loss to Auburn in a game that felt like a 30-point Tigers lead much of the night has the potential to be a launching pad for an offseason of growth and improvement. That’s really the only good thing about such brutal losses. Even when the sting downgrades from a 10 to more manageable level, it won’t go away for competitors. And because it will always be there for certain players, they’ll be reminding themselves the entire offseason that they need to push themselves harder in order to make sure this brand of heartache that they confronted in Salt Lake City doesn’t devastate them again. 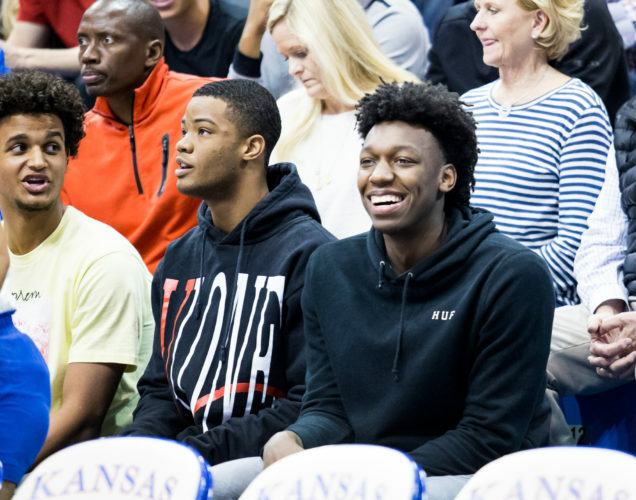 Five-star prospects don’t sign with Kansas to lose in the tournament’s first weekend. This wasn’t what Devon Dotson envisioned for his first taste of March Madness. And when he couldn’t will the Jayhawks to some semblance of a rally versus Auburn, it crushed him. 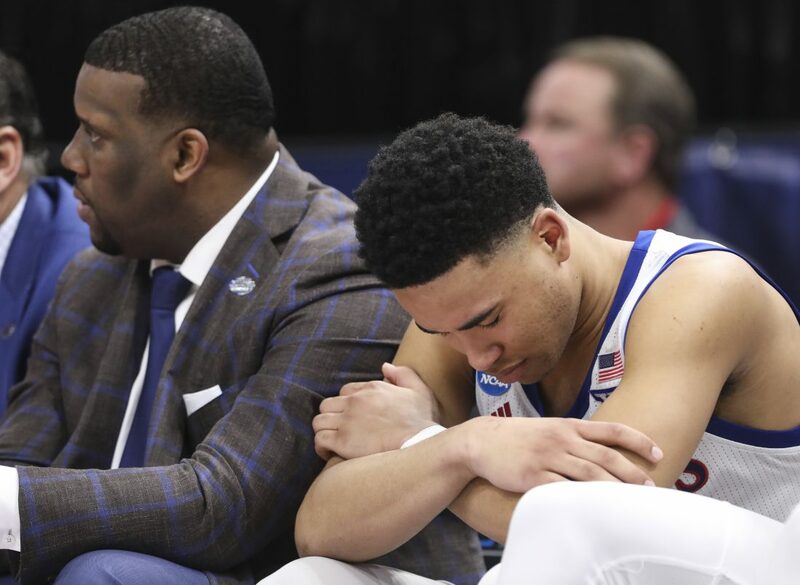 The toll of goals unrealized first weighed on KU’s freshman point guard late in the inevitable defeat, as he sat on the bench and did his best to fight off tears — covering his mouth with a towel, attempting to mask the raw emotions of the moment. But Dotson couldn’t escape those feelings by leaving the floor after the final buzzer. They hovered over him in the postgame locker room, too. Upon taking his seat, Dotson slumped over. 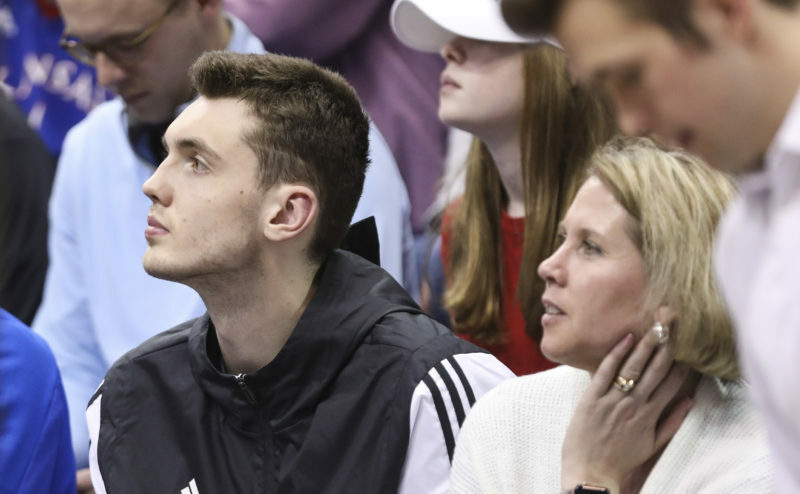 A towel soon draped over his head, as he powered through answers to reporters’ questions, pausing on several occasions to find some composure when the tears wouldn’t stop falling from his eyes. Dotson must’ve uttered some variation of that last word at least a dozen times during postgame interviews, repeatedly shaking his head in disbelief, covering his face with his hand at times, and his eyes downcast most of the session. While the future of his teammate Dedric Lawson is unknown at this juncture — Bill Self said after KU’s loss to Auburn that Lawson and others will have decisions to make regarding their chances of going pro — Lawson summed up the mood inside the locker room perfectly, describing the NCAA Tournament as something he and his teammates grew up dreaming about. “And it went away so quick,” Lawson said. The Auburn Tigers know that feeling. In 2018, their dreams of a March run were dashed by Clemson in the second round with a 31-point loss. 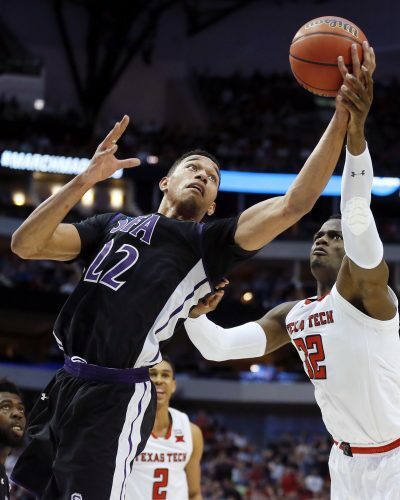 A year later, they were the experienced team crushing a second-round foe for a berth in the Sweet 16. The Tigers looked not only fast, but also experienced, as they buried the Jayhawks in the first half. For Dotson and other members of the KU rotation who return, this dismantling at the hands of Auburn, impossible as it may have seemed while they endured it, could end up becoming a driving force within the team’s DNA when the Jayhawks try to redeem themselves in the 2020 tournament. 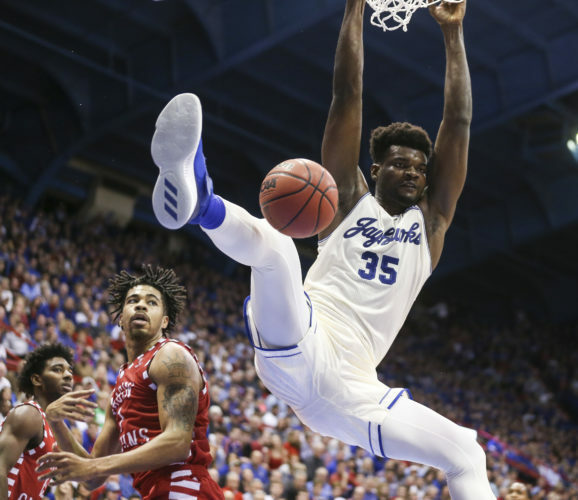 While Dedric Lawson and his brother, K.J., and Quentin Grimes didn’t want to get into on Saturday whether they will be back for another go-round at The Big Dance, it doesn’t look like Dotson is going anywhere. If Dedric Lawson were to leave to pursue a professional career, this would immediately become Dotson’s team. Regardless of the pecking order, the point guard already is a program leader, and he’ll continue to grow in that role in the months between now and the start of his sophomore season. Dotson is the most competitive player on KU’s roster. And now that he’s felt what an early exit from the NCAA Tournament is like, he’s not the type of athlete to let it happen again. If he has to become the lead guard who carries the Jayhawks he’ll do it. If he has to motivate his teammates as they work together toward something greater, he’ll do that, too. 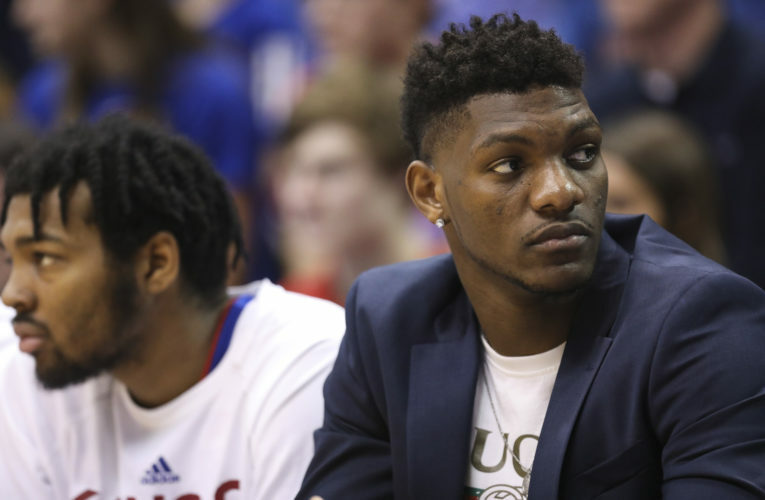 The Jayhawks won’t ignore or forget their March shortcomings anytime soon. And if they try to, Dotson will be there to remind them that’s not an option.